Dewalt Flat bars are made from spring steel for strength and durability. The Grout Grabber Dustless Grout Removal System is a revolutionary carbide blade attachment for reciprocating saws that removes grout easily and with minimal dust. Marshalltown "V" Notched Trowel has a cast aluminum alloy mounting that is securely attached with rivets to the tempered steel blade. Marshalltown "V" Notched Trowel (7/32 X 5/32 Notches) has a cast aluminum alloy mounting that is securely attached with rivets to the tempered steel blade. This 20-grit silicon carbide stone is for removing form marks and dressing down concrete. Marshalltown Aluminum Hawk is used for holding plaster before applying to the working surface. Marshalltown Base & Cove Float has a pure rubber gum face that is bonded to the dense rubber pad. Marshalltown Finishing Trowel is pre-shaped across the length and width of the blade. Marshalltown Finishing Trowel has an aluminum alloy mounting and is lightweight but very strong. Marshalltown Grout Float has a pure rubber gum face that is bonded to the dense rubber pad. This Marshalltown grout saw has a die cast aluminum mounting with a thumb rest and its 2" blade is coated with tungsten carbide. Marshalltown Margin Trowel is made from hardened and tempered carbon steel. This Marshalltown Margin trowel is forged from a single piece of highest grade tool steel. Marshalltown Margin Trowel is forged from a single piece of highest grade tool steel. Marshalltown Notched Trowel (1/2 X 1/2 X 1/2 Notches) has an aluminum alloy mounting riveted to a hard tempered steel blade. 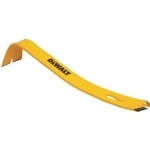 This Marshalltown notched trowel is made from hardened and tempered steel. These Marshalltown scrub bugs clean all types of grout films, including tough epoxy films from tile without damaging the grout joint. Marshalltown Square Notched Trowel (1/4 X 3/8 X 1/4 Notches) has an aluminum alloy mounting attached to a hard tempered steel blade. Marshalltown Square Notched Trowel (1/4 X 3/8 X 1/4 Notches) has a cast aluminum alloy mounting that is securely attached with rivets to the tempered steel blade. Marshalltown Square Notched Trowel (1/2 x 3/4 x 1/2 Notches) has a cast aluminum alloy mounting that is securely attached with rivets to the tempered steel blade. This Marshalltown square notched trowel has cast aluminum alloy mounting that is securely attached with rivets to the tempered steel blade. This Marshalltown Tool Bag is made of heavy duty canvas with lock stitched seams. Marshalltown Trowel has a high carbon steel blade that is cross-ground to better hold its proper shape. Marshalltown Trowel is especially designed for working with installation. This Marshalltown Tool Holster is made of rugged construction and has a long-wearing protective insert. Marshalltown Undercut Saw undercuts door jams and other wall base obstacles. Marshalltown Wood Float is made from 1/2" thick seasoned mahogany. ProBiltSERIES Epoxy Grout Float - 4" x 10.5"
The Epoxy Grout Float 4" x 10-1/2" is excellent for use on floors, walls and countertops. This Putty Knife 1-1/2" has a stainless steel blade and full tang construction. This Putty Knife 2" has a stainless steel blade and full tang construction. This Putty Knife 3" has a stainless steel blade and full tang construction. Rubi Margin Brick Trowel 3" x 6-1/4"
Rubi Margin Brick Trowel 3" x 6-1/4" is trapezoidal in shape and includes a Model 01 Steel plate cast with Rubiflex handle. This square shovel is a durable industrial-grade shovel for tough digging. Removes old grout, stackable, replaceable carbide-coated blades. This utility blade dispenser holds 100 standard utility blades and offers quick, easy and safe blade dispensing. 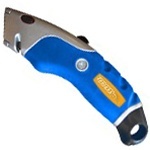 This utility knife has blades that are fully retractable for your safety.